At its time tin toys have been not only loved by children, they are also very much wanted by those grownups nowadays. However how knows how it was developed and engeneered; which role does play steel in its various forms? To show this unknown side of these toys is the aim of this book. Many instuctive pictures give an inside view about history, development and origin of mechanical toys made of steel. 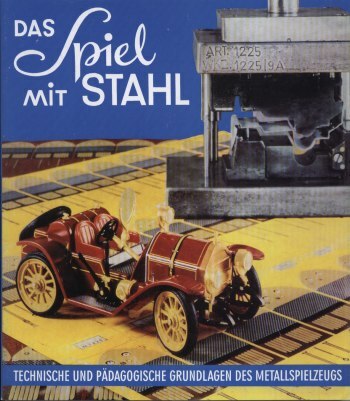 The original was published in 1964 by the Beratungsstelle für Stahlverwertung (advisory bureau for use of steel) Düsseldorf as an advisor for the toy manufacturing industry. 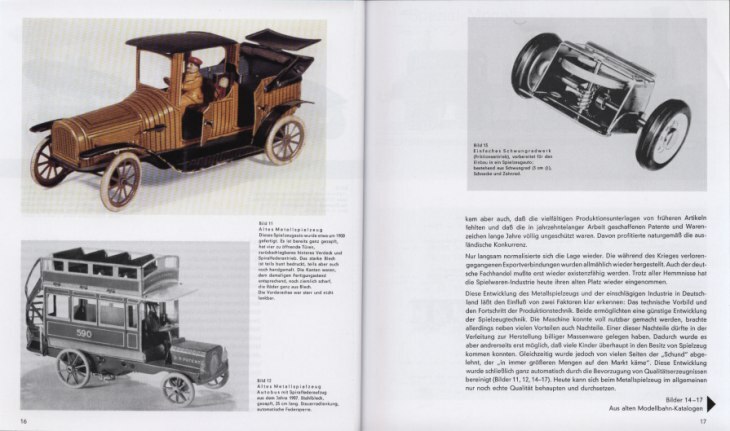 127 pages with 110 b/w pictures, many of them about Schuco toys. German language.